this is the berlin apartment of the american painter michael duté. he has been working for many years to transform the flat into a piece of art. 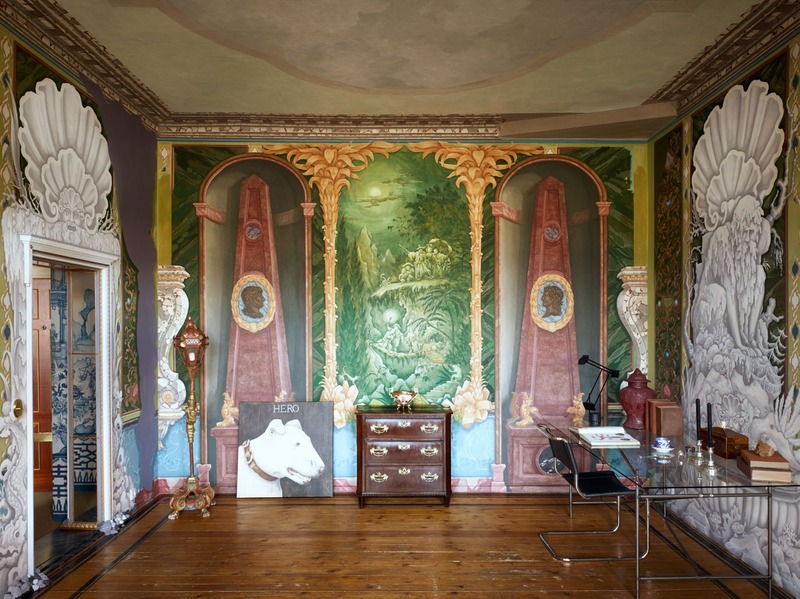 By covering every wall with his highly decorative paintings and some customized furniture he is converting this dwelling in some staggering and also a bit irritating pallazzo.